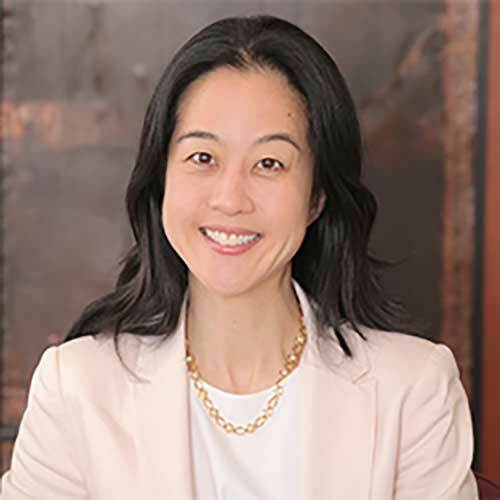 Sue Suh is Chief Talent Officer at The Rockefeller Foundation, based in the New York City headquarters. What gets her up in the morning? Her team’s mission to energetically recruit, develop, engage, and retain the Foundation’s extraordinary global talent who, together, is driven to make positive impact on some of the world’s biggest challenges. Sue’s previous roles at the Foundation include serving as Special Assistant & Director of the President’s Office as well as acting as interim Director of the Asia Office in Bangkok, Thailand. Before joining the Foundation, Sue served with the U.S. Departments of State and Defense in Washington DC, New York, and Tripoli, Libya—managing issues such as nuclear nonproliferation, UN sanctions, public affairs, and overall U.S.-UN relations. She is also passionate about the power of education, the performing arts and sports to effect positive change, and sits on the Boards of the Coca-Cola Scholars Foundation, the Classical Theatre of Harlem, and Special Olympics Asia Pacific. Sue absolutely loved Princeton University (Politics BA) and Columbia University (Political Science MA), and was grateful to earn a Fulbright award to South Korea and a Presidential Management Fellowship with the U.S. federal government.